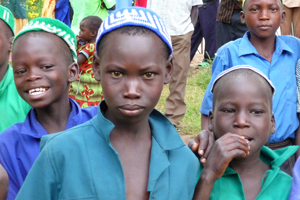 250 Africans Convert To Judaism. Many more expected to follow. 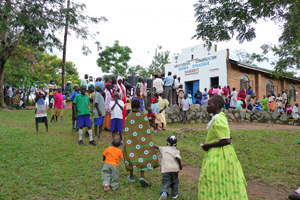 Over 250 people from Uganda, Kenya, and South Africa, Ghana, and Nigeria formally converted to Judaism in a ceremony held last week in the village of Nabogoye near Mbale, Uganda. They join a community of 800 Abayudaya Jews led by Rabbi Gershom Sizomu, who was recently ordained at American Jewish University, a seminary of Conservative Judaism in Los Angeles, California, through a fellowship from Be'chol Lashon. The ceremony was conducted according to Jewish law. Rabbi Sizomu convened and participated in a religious court (beit din) of Conservative rabbis from the United States that supervised the ritual immersion (mikvah). The converts included men, women and children ranging in age from four to eighty years old, and are mostly rural farmers, but also included small business owners and professionals. Rabbi Gershom Sizomu is the first black rabbi from sub-Saharan Africa to be ordained by an American rabbinic school. 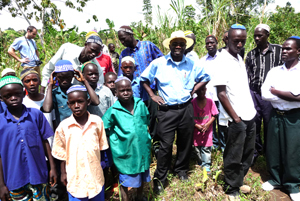 He returned home just a few weeks ago to Uganda to lead the local Jewish community, known as the Abayudaya (“people of Judah”). 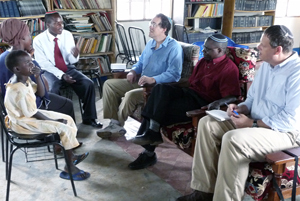 He is opening a school to train rabbis who will serve growing Jewish communities throughout Africa. “Gershom is a visionary and charismatic leader. It has been an honor to support him over the past five years and we plan to stay involved in building the Jewish community of Uganda and others in Africa as well,” says Diane Tobin, Be’chol Lashon Director. The mission of Be’chol Lashon is to help global Jewish communities grow, and to facilitate active participation in Jewish life, working to dispel the myth that Judaism is closed to outsiders -- a myth that Jews themselves sometimes promote. Be’chol Lashon (In Every Tongue), an initiative of the Institute for Jewish & Community Research, grows and strengthens the Jewish people through ethnic, cultural, and racial inclusiveness. They advocate for the diversity that has characterized the Jewish people throughout history, and through contemporary forces including intermarriage, conversion and adoption.